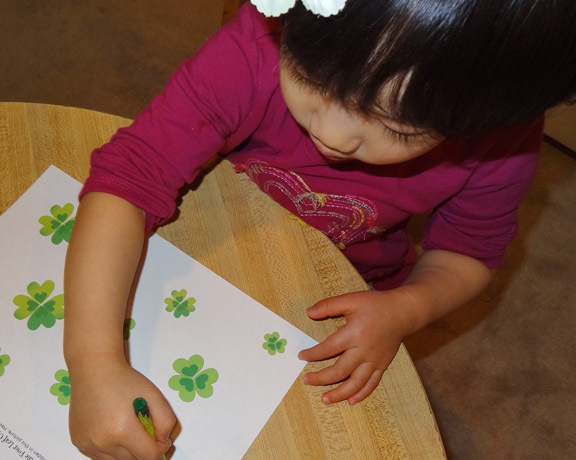 We do a lot of hands-on activities in our home, including several St. Patrick’s activities. I’m not someone who believes that preschool children should spend a lot of time doing worksheets. But I also think that doing them every once in a while, especially if the kids enjoy them, is just fine. With St. Patrick’s coming up, I decided to create a St. Patrick’s printable for my kids. 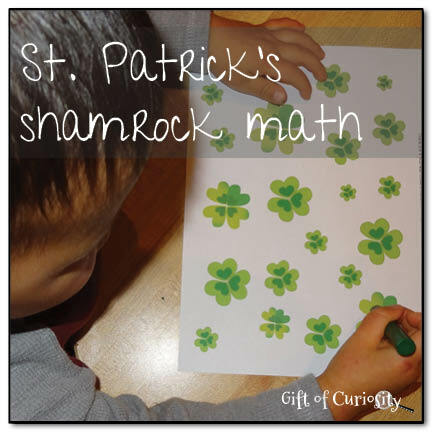 What I came up with was this simple Find the Four Leaf Shamrock St. Patrick’s math activity. Note: You can find this and other St. Patrick’s printables on my St. Patrick’s Day printables page. 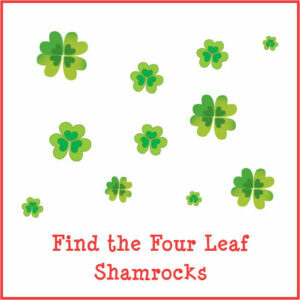 The goal is to find the four leaf shamrocks among all the three-leaf shamrocks. There are two versions of the activity so you can use the one tailored to your child’s skill level. QBoy and XGirl are at different developmental levels, so I gave one version to XGirl and one version to QBoy. 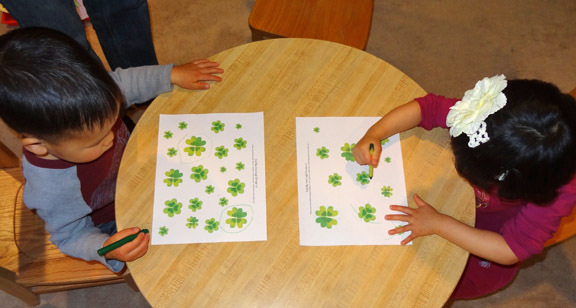 As kids complete this St. Patrick’s math activity, they are working on counting and visual discrimination skills. Plus, they are learning a bit about how we celebrate St. Patrick’s day as well! Want a copy of Find the Four Leaf Shamrocks? These are awesome! What a great tool for learning Math and perfect that you did them at different levels for different ages. Thanks so much for sharing on We Made That! What a great idea! My youngest is going to enjoy this activity. Thanks for sharing it. You are welcome, and I hope your child enjoys it!